The International Seminar on Silk Road Economic Belt will kick off in Urumchi, China on June 26. Chinese President Xi Jinping, during his visit to Central and Southeast Asian countries last fall, put forward the two initiatives of building an economic belt along the ancient Silk Road and a 21st century Maritime Silk Road. “The Silk Road boasts a 3-billion population and a market that is unparalleled both in scale and potential,” Xi said in September last year. The Silk Road connected China and Europe from around 100 B.C. The 4,000-mile road linked ancient Chinese, Indian, Babylonian, Arabic, Greek and Roman civilizations. 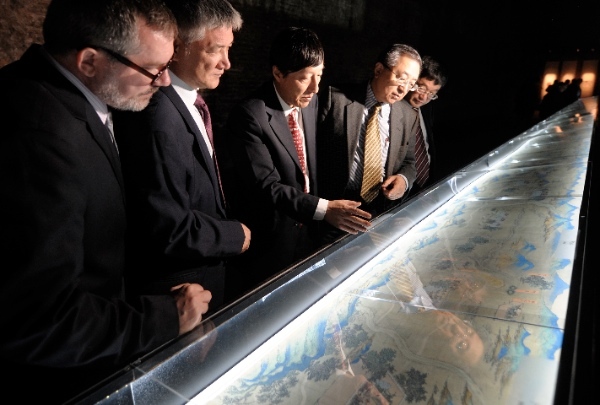 The maritime Silk Road begins in China’s Fujian and ends at Venice, Italy. Aiding the building of the route is the fact that China’s trade ties with central and west Asia has grown over the years. In 2013, China’s imports from Arab countries amounted to $140 billion. China’s trading volume with the five central Asian countries exceeds $45 billion, over 100 times the figures in 1992, when they first established diplomatic ties. China and Russia have permanent interests in Central Asia and are members of the security bloc, the Shanghai Cooperation Organisation (SCO). Meanwhile, nineteen Chinese and foreign cities along the Silk Road on Sunday issued a declaration that they will jointly develop tourism along the ancient trade route. Chinese Foreign Minister Wang Yi had said last year China, India and Russia can “play a major role in building the Silk Route Economic Corridor”. Wang noted that China, Russia and India stride two continents, link three oceans and have 40 per cent of the world population as well as over 22 per cent of world territorial surface. Meanwhile, the US and Japan have their own conflicting versions of reviving the Silk Route. of course US/Japan has, the US didn’t even exist when the silk road was in operations. Its totally hilarious the US/Japan would even challenge it. hahahahaha. More bogus trash from defunct criminals in DC with its lackey in the East.